For the life of me, I cannot understand why a colleague would impugn the motives and professionalism of her fellow veterinarians, while also denigrating a part of life so dear to the many clients we are duty bound to serve. In today's culture, with so many famous and powerful people brought low by ill-considered or outright offensive public comments, one can only wonder: "Just what was she thinking?" Dr. Patty Khuly's article, “The purebred paradox” in Veterinary Practice News gives offense to veterinarians, dog owners, purebred breeders and purebreds alike. In it, Dr. Khuly asserts that “purebreds are overrepresented in popular culture” but without defining what “overrepresentation” means, other than her apparent bias against defined breeds, and those who provide them to us, purebred breeders. She alleges that “we,” presumably meaning all or most veterinarians, “know what this means” continuing, “it amounts to more genetic disease, more pathology in practice”...and “each purebred animal we examine typically represents the apex of a triangle comprised of suffering at its USDA-inspected base.” Yikes! Is there any animal-interested stakeholder still unoffended by this broad, unsubstantiated and ill-defined attack? Then comes the very worst assertion of all; a cynical and direct attack upon the motives, ethics and morality of her colleagues. Claiming that veterinarians prefer the intentional creation of illness to assure their job security and financial success is nothing short of a slander, and plays into the worst form of stereotype about our profession. This characterization is completely undeserved, as the altruistic bona fides of veterinary medicine and individual veterinarians speak for themselves. Dr. Khuly goes on to undermine her own argument, in stating why so many people choose a defined breed, a purebred: “I'd be lying if I didn't cop to thinking impure thoughts whenever I see a bouncing baby Frenchie...” It's self-evident in her comment and in the experience of many, that people love “their” preferred breed. There was a time not long ago when we all understood and accepted the validity of owner preference, a time in which pet ownership was far less politicized. Veterinarians were not then wracked with guilt in accepting the desire of pet owners to choose a breed they prefer, for their own reasons. 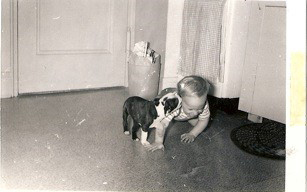 Indeed, I am such a person, having had a close relationship with Boston Terriers for over 60 years. For Dr. Khuly to imply that people should not be able to choose a breed they love because some members of a breed are imperfect, negates the love that drives breed preference in dog ownership, and undermines the human animal bond. Who gets to decide what sort of dog one is to own? Principle IIId. Veterinarians must not defame or injure the professional standing or reputation of other veterinarians in a false or misleading manner. Principle IX. A veterinarian should view, evaluate, and treat all persons in any professional activity or circumstance in which they may be involved, solely as individuals on the basis of their own personal abilities, qualifications, and other relevant characteristics. Some colleagues, perhaps such as Dr. Khuly, seem to confuse the general desire to work towards better animal welfare within the established circumstances in which people obtain, own and keep animals, with a perceived mandate to undermine and eliminate the circumstances themselves. Purebred dog ownership is one of these. 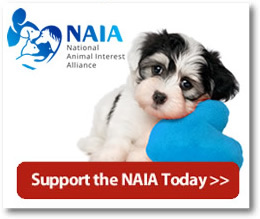 Yet in those efforts, the protagonists become self-appointed judge and jury with respect to animal welfare. Examples are numerous and include the breeding of companion animals as well as the ethics of horse drawn carriages, carnivorous diets, working dogs and many other human engagements with animals. The Veterinarian's Oath says something quite different. In it, the phrase "For the benefit of society" is the controlling clause of all that follows it, and "practicing one's profession conscientiously, with dignity" should also mean avoiding the disparagement of client choices and colleagues' motives. No Dr. Khuly, our economic success does not depend on perpetuating purebred illness, but it does depend on the human companion-animal bond, and that bond is not ours to define for others. Our clients define it for themselves, and if they choose purebreds that they love, it's our job to assist them in keeping their animals healthy. It's not our job to disparage or discourage their choices. That is an unwinnable and counterproductive argument. Instead, let’s join with the conscientious breeders who are working to improve their breeds and help our clients deal with any unfortunate problems that arise in the dogs they love. That is our job. Finally, lets never take cheap shots at our colleagues or our profession. In that, we would do well to remember the immortal words of Abraham Lincoln: "A house divided against itself cannot stand." 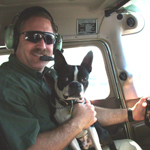 Dr. Arnold L. Goldman is a veterinarian and owns Canton Animal Hospital in Canton, Connecticut. He is president of the Connecticut Veterinary Medical Foundation and active in leadership roles in several animal organizations, including the AVMA and NAIA. AVMA HOD: Recall and Redraft Breeder Proposal!